It’s been pretty hectic since my last email newsletter – and I have been overwhelmed by the emails and messages of support following my decision last week to resign from the Conservative Party. All that aside, it is business as usual and there is a lot of important news and updates on constituency matters – so please read on. 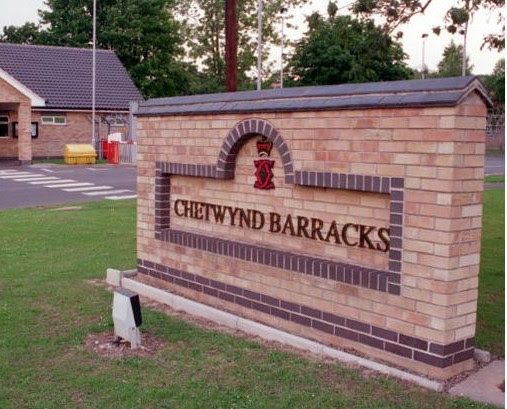 The Ministry of Defence has announced a three year delay to the sale of Chetwynd Barracks. The original scheme would have seen the land being sold in 2021 to provide up to 1200 new homes. The Neighbourhood Forum has come up with a set of exciting plans for the area which will be impacted by the delay. No-one wants the Army to leave the site but most people have accepted the decision. I have asked for an urgent meeting with the Minister, Tobias Elwood and Broxtowe Borough Council. I am particularly concerned that the delay will cause the site to suffer from “planning blight” with a number of soldiers continuing to live in unacceptable pre fab accommodation, which should have been demolished years ago. My letter to the Minister. 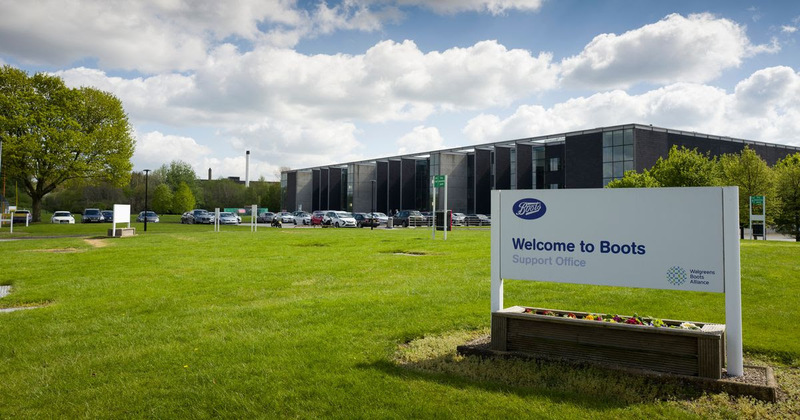 Over 300 jobs are to go at Boots’ HQ in Beeston and many more workers could be moved to other roles. One of Nottingham’s biggest employers is making the changes as part of an overhaul of its retail business. As we all know, people are now shopping differently with many choosing to buy online rather than from shops. 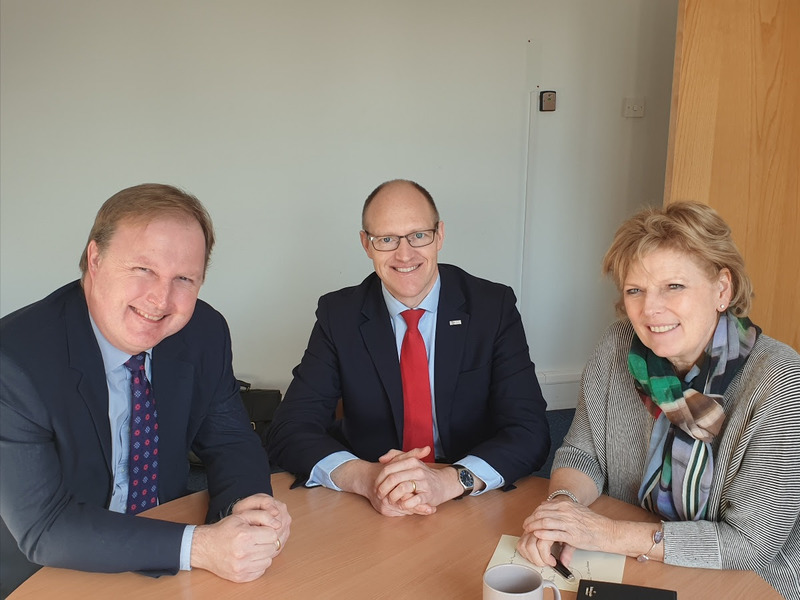 The loss of jobs is always a blow and I am assured Boots will conduct a proper consultation, however, I am also assured it is part of a plan to protect the financial future of Boots and keep the business firmly rooted in Beeston. I have written to Seb James, Boots’ Managing Director, requesting a full update on their plans and assurances about the consultation process and efforts to help redundant workers into new jobs. Stagecoach, the company that operates the rail franchise as East Midlands Trains, has taken a large amount of money (£35 million) out of the service to London. I raised this in the House of Commons as I fear they are running down the franchise. They asked to meet and we had a frank discussion during which they denied any run down. The Government has extended the existing franchise to August and has promised to announce details of the new operators before May. Whether Stagecoach win it or not, we will not be getting much needed new rolling stock (trains!) until 2022. This delay is due mainly to the Government going back on its plans to electrify the line. I will raise this with Chris Grayling, the Transport Secretary, as passengers deserve modern, efficient trains. The current rolling stock includes trains that are not fully accessible to disabled passengers and all of them dispose of toilet waste directly on to the tracks. Following long standing complaints from residents about vandalised tram lights not being replaced, I have spoken to the Chief Executive of Tramlink, Adrian Wallace. He apologised for the delay and gave an explanation which I’ve accepted especially as he has undertaken to improve the current system. Adrian Wallace told me new lights will be installed in the next 2-3 weeks and he should have an even better idea early next week. Broxtowe has benefited from £2.4 million of Heritage Lottery Funding since 2010 including £912,000 for the Beeston Canal Side Heritage Centre, £57,300 for the archaeological project run by Friends of Toton Fields and £414,200 for the Bramcote Sunken Tower Community Project. I met Jonathan Platt who leads the Heritage Lottery Fund for the East Midlands and we discussed the future of the Bennerley Viaduct bid. I am keen for a new bid to be resubmitted as a new round will be opening soon. I will keep you updated. The Bowls club on Beechdale Road in Bilborough has been one of the most successful in Nottingham however declining memberships, increasing costs and rent rises have put it under threat of closure. I was first contacted by the issue at Notts County by a club member and subsequently by the club President who is a Chilwell resident. The club opened at the centre in 1980 and still has over 350 members. I have written to the Leader of Nottingham City Council, who are the club’s landlords, to ask him to do all he can to keep the club open. 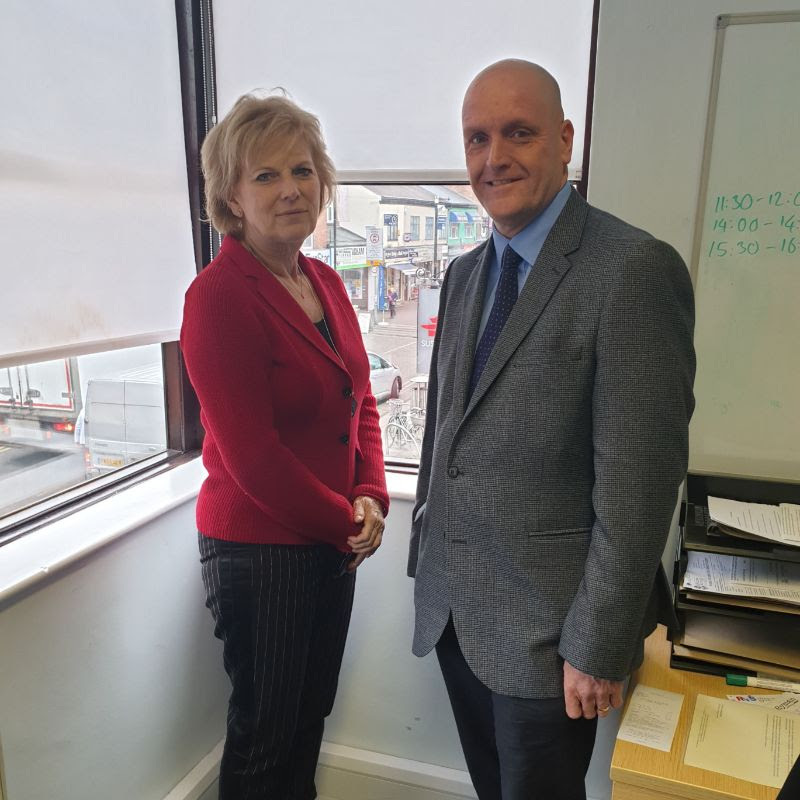 I had an excellent meeting with Chilwell’s Richard Daniels who founded the charity Forever Stars which campaigns for families affected by baby loss. Richard updated me on the charity’s plans for a Remembrance Garden in Highfields Park and their work in providing better facilities for parents at the QMC who have suffered a miscarriage. Hollywell Primary School in Kimberley is the latest school in Broxtowe to become an Academy. This change is good news for the school as it will provide a number of benefits, including more control over budgets and greater independence. I understand Roundhill Primary in Beeston has also begun the process of becoming an Academy. Freeing schools from the control of local authorities, so they have more control of their budgets and greater independence, began under the Labour Government and was proactively encouraged by the Coalition Government of 2010-15. A number of Broxtowe’s hard left Labour Councillors were vehemently opposed to the choice made by local schools – some even picketed pupils and parents at Kimberley School. Labour’s Momentum backed parliamentary candidate opposes our schools choosing to become an Academy. 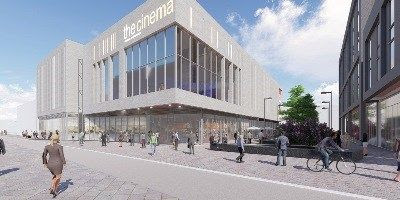 Work begins this summer on an 8 screen cinema in Beeston on the former site of the Fire Station. The development will include new restaurants and cafes and 132 much needed new homes. Broxtowe’s senior police officer Inspector Simon Riley has released his latest blog which you can read here. 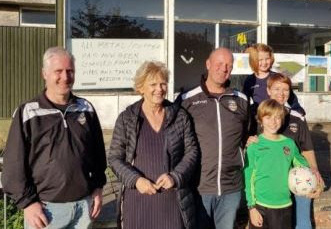 I am delighted to support Beeston Football Club’s application for funding from Nottinghamshire County Council for a new community space as part of their development of a new pavilion. I’ve written in support of their bid. I visited the club last year and saw how much they need safer and better facilities for their teams and visitors at their Beeston Rylands ground. If you are a local business who could contribute to their fund raising please let me know. After I announced I had resigned from the Conservative Party one of the first people to call in support was the former Chair of Broxtowe Conservatives Bob Lilley. Like me, Bob takes the firm view that the Conservative party has fallen away from the centre of British politics and is firmly in the grasp of the right wing. As I said in my letter to the Prime Minister I haven’t changed – the Conservative Party has. The team and I have been overwhelmed not just by the huge number of emails I have received since last weeks’ announcement, but by the level of support. My principles and values on which I stood in the 2017 General Election have not changed. That is why I do not believe there is any need for a by election and I have to say, after talking to constituents and from the emails I have received, that is the view of the majority in Broxtowe. It’s invariably forgotten that MPs represent all their constituents and especially so in marginal seats like Broxtowe. I do not forget that at the last election, the majority of people did not vote for me or the Conservative Party. I received 46% of the votes cast – in 2010 the share was 39% rising to 45% in 2015. I think it is also important to remember that whilst around 52% of constituents voted for us to Leave the EU, I was re-elected in 2017 with my views on Brexit well known and a clear pledge that I would continue to support our remaining in both the single market and the customs union. In any event, I have not voted to stop us from leaving the European Union, indeed I voted for the triggering of Article 50 and the Withdrawal Act which set March 29th as the date of departure. In my resignation letter to members of Broxtowe Conservatives I thanked the many people who supported me in three General Election campaigns – leaving them was the hardest part of my decision. There are other activists who have helped me – many are not members of any political party. I also made it clear I would help and support a small number of honourable, hard working Conservative candidates in the forthcoming Borough Council elections. It was and remains a genuine offer but sadly it has been rejected. My team and I will continue to work out of the new constituency office (details below). I continue to be paid by the tax payer through the Parliamentary system. This email facility and all the data belong to me and I have always paid the modest fee for using this email service. I will not be sharing Conservative Party data with the new Independent Group. I will support good, hard working candidates in the forthcoming Broxtowe Borough Council Elections regardless of their party political allegiance. We are not a political party but I hope we will soon be. We have elected Chuka Umunna as our spokesperson and I have responsibility for leading the Group on Brexit, Justice and will assist with Defence issues. Please learn more about TIG here. Following my intervention the other week, the Government has published a summary of various cabinet papers detailing how damaging a ‘no deal’ Brexit would be to the UK economy. It would cost business somewhere in the region of £13 billion, reduce our future prosperity by 9% and adversely effect the supply of food and other goods. Huge delays are forecasted at the ports for goods coming in to the UK and it was also clear that business is nowhere near as prepared for no deal as they should be. Little wonder the Business Secretary has described a no deal Brexit as “ruinous”. No Government should contemplate no deal especially in the face of such known consequences, that a Conservative Government refuses to reject no deal is disgraceful. I spoke in this weeks’ debate and you can read my speech here – I think, if I may say and if you still have any appetite for Brexit, you should read the entire debate in Hansard! Since 2011 the EU has continued down the road of centralisation and authoritarianism. 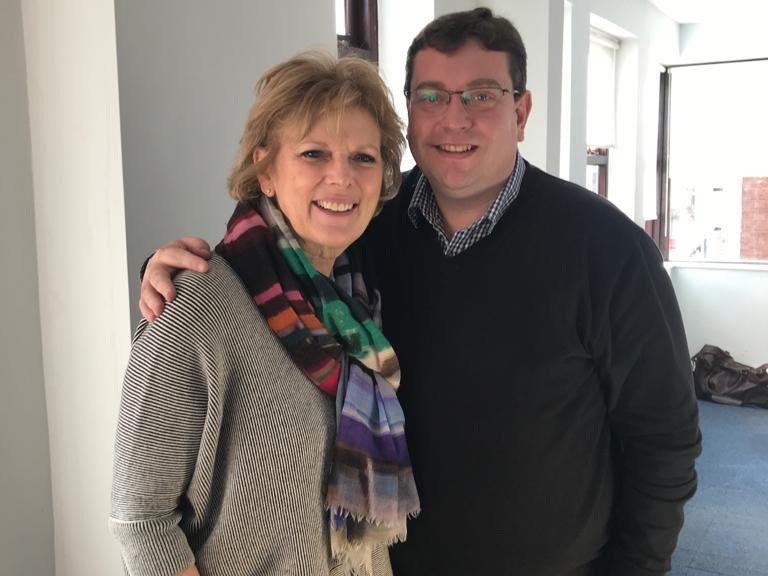 What changed with Anna Soubry?